Ms. Collins’ science lab at Frederick Douglass Elementary is the place to be! One afternoon you might find pairs of students bent over a sheep heart dissection, learning anatomy for the first time. The next week, the group might be acting as “doctor detectives” working on an interactive medicine case with help from a diverse panel of healthcare professionals. 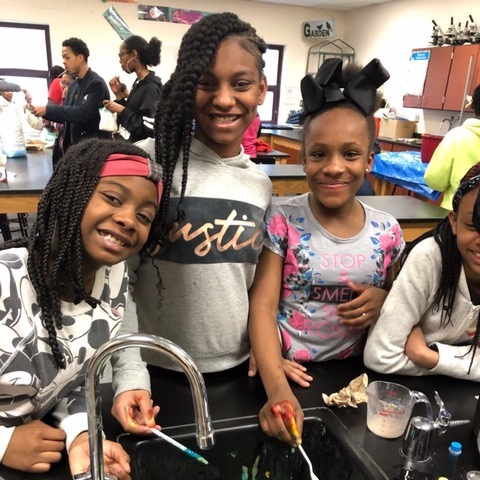 This is the “Road to Medicine” program, currently in its second year at Frederick Douglass Elementary in Walnut Hills, and part of a larger mentoring partnership between Frederick Douglass and Walnut Hills High School called See It, Believe It, Achieve It. Home made ice cream is the best! Over the last year our family medicine residents, Dr. Sara Maples, Dr. Melissa Saab and Dr. Laura Ledvora, with support of Dr. Anna Goroncy, expanded the Road to Medicine program to expose 6th – 8th graders to STEM education and health professions. 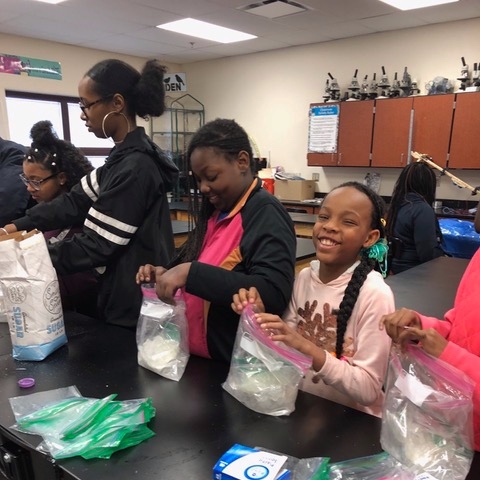 Over the course of seven sessions, students explored the diversity of science, including the biology of making ice cream (which was delicious), the chemistry of extracting DNA from strawberries (less delicious), and the physics of testing bike helmets. Along the way, students worked with medical students, residents and physicians, discussing pathways to careers in science and medicine. Working with the Walnut Hills Redevelopment Foundation to increase access to healthy food through community gardens and developing neighborhood healthy cooking classes. Developing Healthy Living classes at DOHN High School as part of the Outpatient Pediatrics rotation. Residents lead a monthly class covering topics from chronic diseases to recreational drug use, stress, sleep and exercise. Joining the Center for Closing the Health Gap to complete community needs assessments to better understand the needs of the Walnut Hills community. As the partnership strengthens over the next years, we look forward to expanding opportunities to the residency faculty and Family Medicine Center staff. Special thanks to the Walnut Hills Community Partnership Steering Committee members: Dr. Sara Maples, Dr. Emily Levinson, Dr. Laura Ledvora, Dr. Melissa Saab, Dr. Alex Vance, Dr. Sammie Lammie, Dr. Rory Rivendale, Dr. Suzanne Watson and Dr. Brian Bouchard. 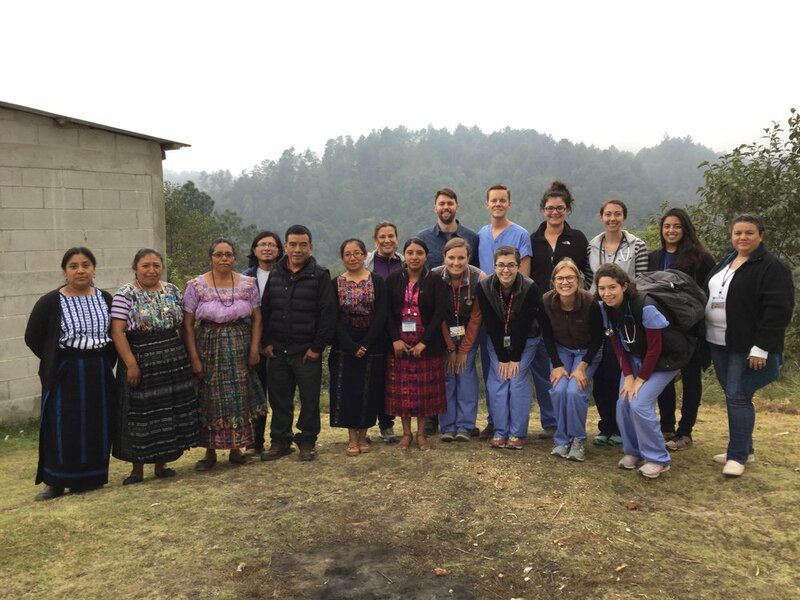 This February, four residents, alongside program faculty, medical students and a public health student traveled to rural Guatemala. Wu Qu Kawoq, also known as the Maya Health Alliance, continues to be out fantastic NGO. 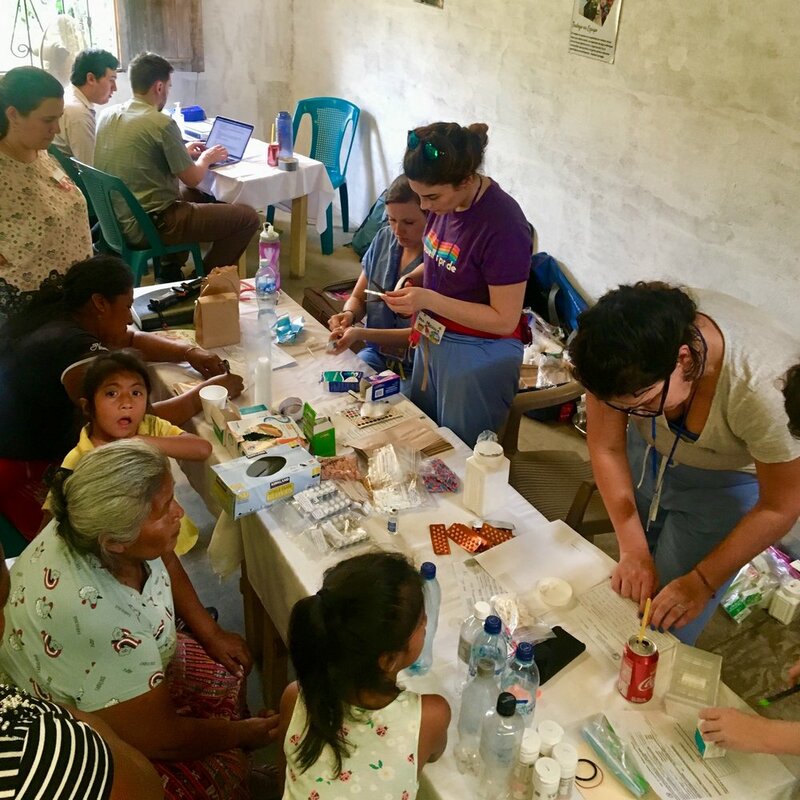 The organization formed with the goal of providing grassroots healthcare delivered in native languages to many of the rural communities of Guatemala who previously were unable to access care. They are now one of the largest providers of healthcare in Guatemala and we are proud to work alongside them for in a culturally sensitive and continuity minded partnership. You can see more more highlights of our Guatemala trip below. To learn more about our Global Health Curriculum click here. You can read more about the Mayan Health Alliance here. Our core resident team along with two of the women most important to the health of Chocola, one of the communities we serve in Guatemala. We traveled first to the small rural, coffee and chocolate farming town of Chocola. The team sets up clinic for the week in a small building centered in the community and provides care to numerous children and families – everything from treating acute infections, to minor injuries, chronic diabetes, hypertension and mental health conditions like depression and anxiety. This model allows for follow up within the same week and we had several patients return for additional check ups or medications. For the second week we traveled to the city of Tecpan which served as our base for daily clinics in more remote and outlying communities. 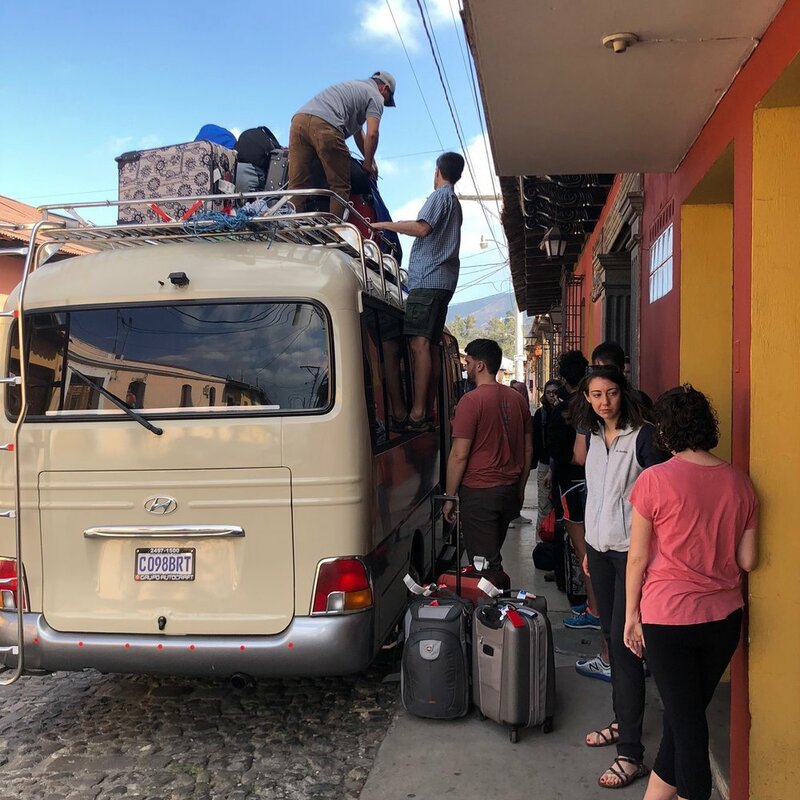 Places like Chichimuch, Chutiestantia, and Santiago were reached only after a long bus ride, and we set up day long clinics treating many of the same things as we did our first week. We encountered more Mayan language speaking people when working in the Guatemalan highlands outside of Tecapn and gained a better understanding of the inspiration behind the Mayan Health Alliance. With incredible interpreters and a strong team we were able to provide care in those native languages. All in all, we cared for 331 patients and will be able to provide follow up and continuity of care when our next team arrives in April. As part of the annual Christ Hospital “The Women in Medicine” event Dr. Montiel Rosenthal and multiple current and past residents hosted teen girls from DePaul Christo Rey High School and Mt. Notre Dame High School. As part of the event they were introduced to family medicine and heard stories about being a woman in medicine. 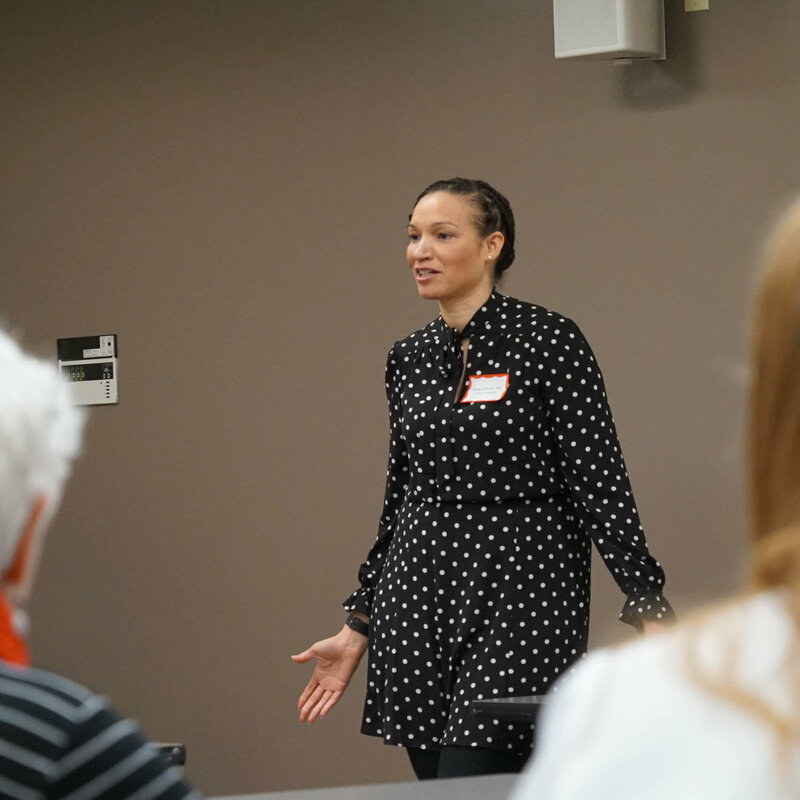 Dr. Anisa Shomo shares her story and her journey in family medicine. Dr. Rosenthal provides an intro to ultrasound! Getting to see a fetus on US is always fun. Dr. Jaramillo teaches on how to look at the optic nerve. That girl has the nest physical exam I have ever seen. Dr. Koch teaches not only on how to check a blood pressure, but also on the importance of treating hypertension. The global health book club group— enjoying snacks, conversations and a baby! Looking for a book to read while you’re traveling to interviews? You might want to consider the latest read from our global health book club! Factfulness by Hans Rosling encourages the reader to look beyond the headlines and see what the data says the world is actually like— not just what we think it’s like. You might be pleasantly surprised at how much progress has been made. If you want to start to test your world view take the GapMinder quiz by clicking here. We have a twice yearly book club, one book focused more of domestic health and the other with a more global perspective. This is part of creating well rounded family medicine physicians. 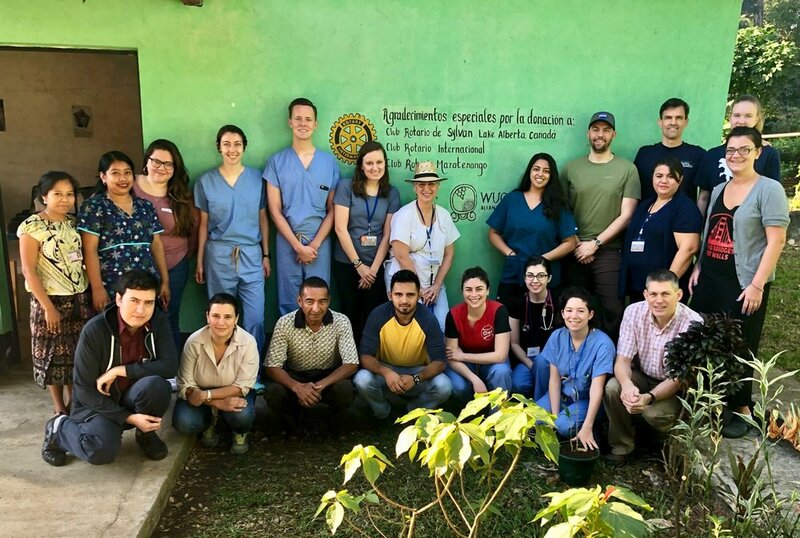 Our July 2018 team recently returned from 2 weeks in Guatemala working with in-country partner Wuqu' Kawoq. We continue to focus in two main areas, the highlands outside of Tecpan and on the Boca Costa, and now even have some continuity patients. While it's hard to capture the experience in photos we think those below help tell the day to day story. To learn more about Wuqu' Kawoq, the second largest provider of health care in Guatemala, after the Ministry of Health, you can click here. No matter where you are in the world how you get to your doctor (on foot, by bus or car) will affect ease of access. While this may look like a “stock” photo, we swear it’s not even staged! Sometimes the best way to make the doctor less scary is via stickers! We always try to meet patients where they are, and in their preferred language. You know you are a family medicine (or FMP) doctor when you bring the baby to staff the mother with your attending. We feel the same way about bubbles as she does. Going on a home visit- fanny pack and all! Our team in front of the Chocola clinic. If you are attending the AAFP Resident and Medical Student Conference this year make sure to come swing by and say hello. We will be there from Aug 2-4 to answer questions and talk about our program. Look for our matching red shirts and booth 1410. Do: Come Talk to Us! Part of the reason to come to these conferences is to network and figure out the "personality" of various residency programs. We would much rather have a conversation about who you are and what you are interested in than list the bed size of our hospital (unless of course you are interested in that- in which case 555 beds). While this is a lot less formal than an interview it is a good opportunity to practice for the big day... especially if you are nervous about it. You truly are in the driver's seat in this process (even if it doesn't feel that way). Keep a list of things you want- (global health? women's health? Trader Joes?... we have all three) - and start asking about it. We encourage you to stay in contact with us. It's important because it shows us that you are interested and also lets us answer any questions you may have. These were the reflections of one of our residents, as featured in the most recent newsletter from our Guatemalan partner organization. To read more about our global health program, click here. You can learn more about our partner by following the link Wuqu' Kawoq. As part of our underserved/global health focus we have regular movie and book club nights. This is a chance for residents, attendings and team members to come together and discuss cultural factors and media representations of the social determinants of health which effect our patient population. 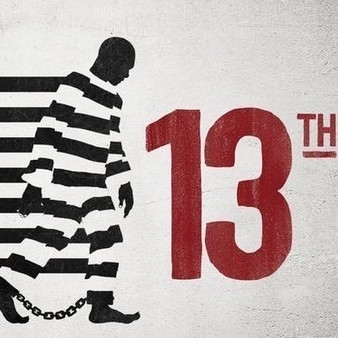 This week we met to watch the Emmy awarding winning documentary 13th, directed by Ava DuVernay. The film examines the history and development of the current mass incarceration crisis in the United States. This film inspires thoughts and is often a call to action. Our group focused on how to talk to our patients about mass incarceration, racism and discrimination. We identified interventions we could make in our current practice, discussed a possible Ohio ballot initiative which would declassify some drug related charged to misdemeanors, and learned how to help people register to vote. If this is a topic of interest you may want to consider reading one of the books we read as part of an earlier group discussion, The New Jim Crow. Other recommendations include Just Mercy by Bryan Stevenson and The Other Wes Moore by Wes Moore. If you are more of a move person, consider The House I Live In (on PBS) and Time: The Kalief Browder Story (a 6 episode documentary series produced by Jay Z). If you have interest, our next meeting is a book group. We will be reading Evicted, which follows 8 families trying to maintain housing in the 21st century city. The author, Matthew Desmond, will also be speaking locally on this increasingly common problem for our clinic population.